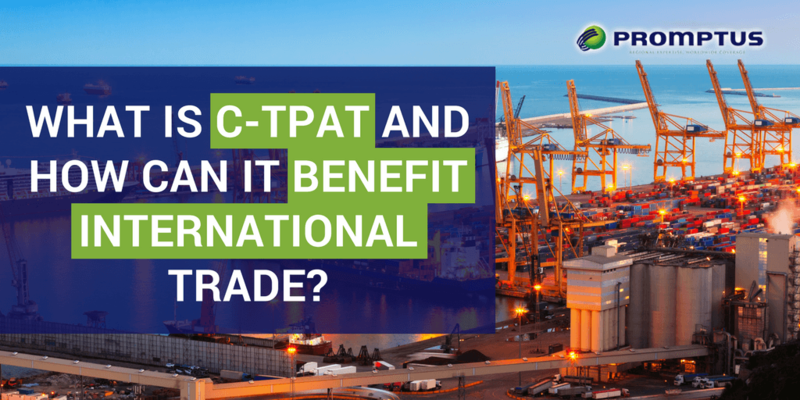 What Is C-TPAT and How Can It Benefit International Trade? The Customs-Trade Partnership Against Terrorism (C-TPAT) is a voluntary program run by the U.S. Customs and Border Protection (CBP). The name may be a mouthful, but the program works to make the shipping industry a safer place for everyone involved. Together with some of the major players in the shipping industry, such as importers, carriers, manufacturers, licensed Customs Brokers, and logistics agencies, the CBP works to combat terrorism internationally. What Exactly Is The C-TPAT Initiative? The CBP takes its responsibility to enforce border security and fortify international supply chains very seriously. The C-TPAT was originally launched in November 2001 and has grown exponentially since, with over 10,000 certified partners currently engaged in the program. This joint government-business partnership with the trade industry works to minimize security gaps and reduce the risk of terrorism and other dangers. Almost half of the participating members of C-TPAT are importers, as they can help to make the biggest difference to protect the supply chain and execute any necessary security measures. Who Can Join the C-TPAT? As of yet, the program is still unavailable to exporters. However, the CBP recently published the list of requirements for US exporters so they can officially participate in the program. In time, the C-TPAT initiative will expand to exporters as well. Right to use the Free and Secure Trade (FAST) lanes at land borders. Priority processing and the ability to skip inspections lines whenever possible. Fewer delays and short wait times at land and ocean borders. Access to C-TPAT Status Verification Interface. Assignment of a C-TPAT Supply Chain Security Specialist (SCSS) to your company. Reduced CBP inspections and exemptions from Stratified Exams (SEs). Potential eligibility to partake in the Importer Self-Assessment Program (ISA). Keeping the trade community safe from terrorist threats and other safety concerns is incredibly important for everyone involved, including consumers. Without a secure supply chain, the shipping industry can see a hindrance to successful operations. By default, this can trickle down and affect customers that rely on imported goods to thrive. As a certified global logistics company and a proud member of C-TPAT, we offer a wide range of services, including ocean shipping services, warehousing and distribution, and licensed Customs Brokers. Contact us at 1-877-776-6799 to receive your free quote today!